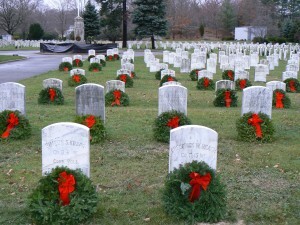 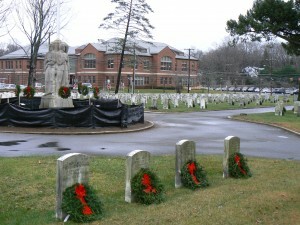 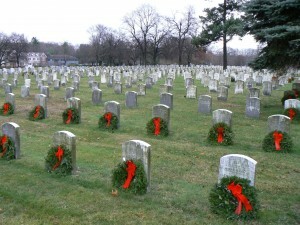 Connecticut’s first cemetery for veterans was one of several in the state decorated as part of the Wreaths Across America project. 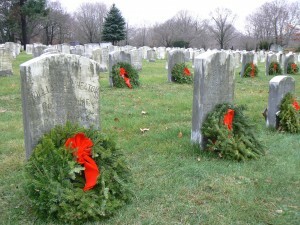 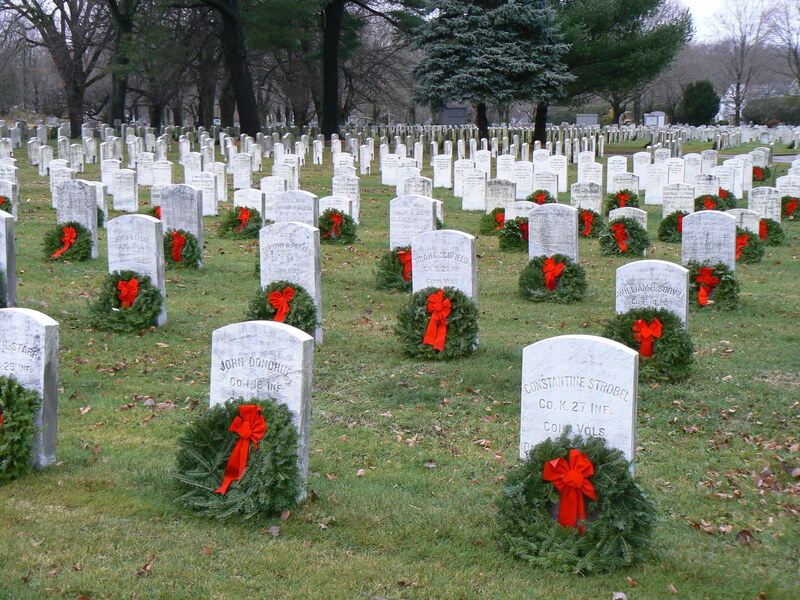 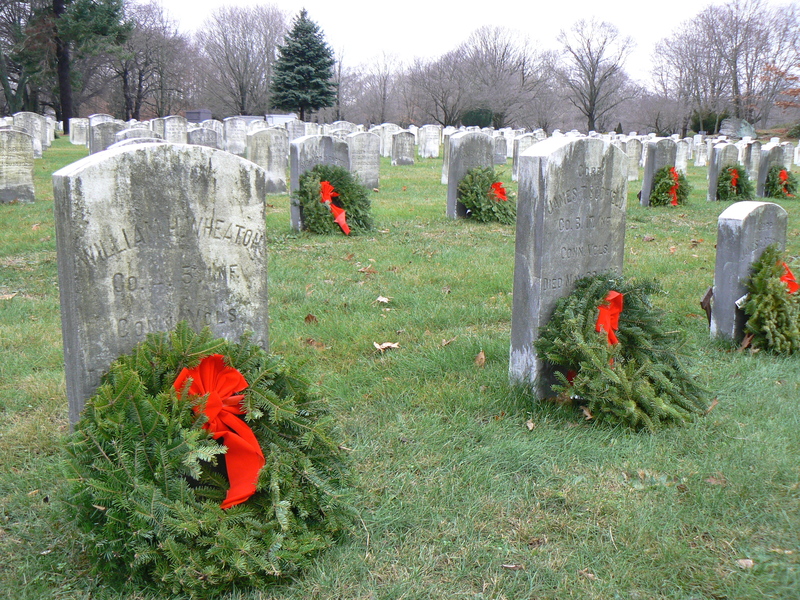 The national project, which started in 1992 with the laying of 5,000 donated wreaths in Arlington National Cemetery, includes 46 cemeteries and war memorials in Connecticut. The veterans’ section in Darien’s Spring Grove Cemetery was established after the Civil War along with the Fitch Home for Veterans and Their Orphans. The home was the first such facility for veterans when it opened in 1864, and was financed by wealthy businessman Benjamin Fitch (who helped sponsor a Civil War regiment and promised to care for volunteers). 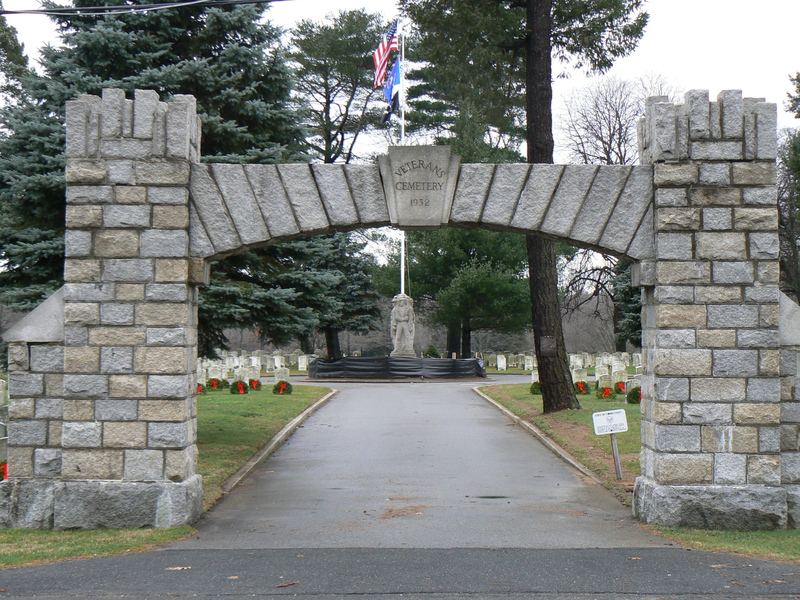 The cemetery is the final resting place for 2,184 veterans. 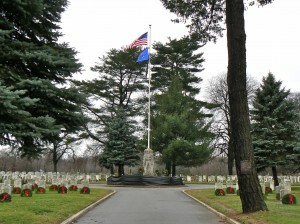 A four-sided monument, dedicated in 1936, stands at the base of a flagpole. 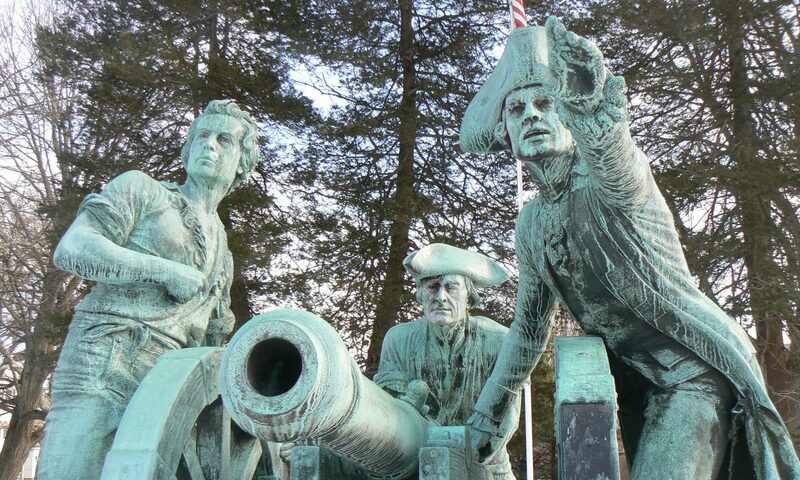 The sculpture, by Karl Lang, features figures representing veterans from the Civil War, the Spanish-American War and World War I. 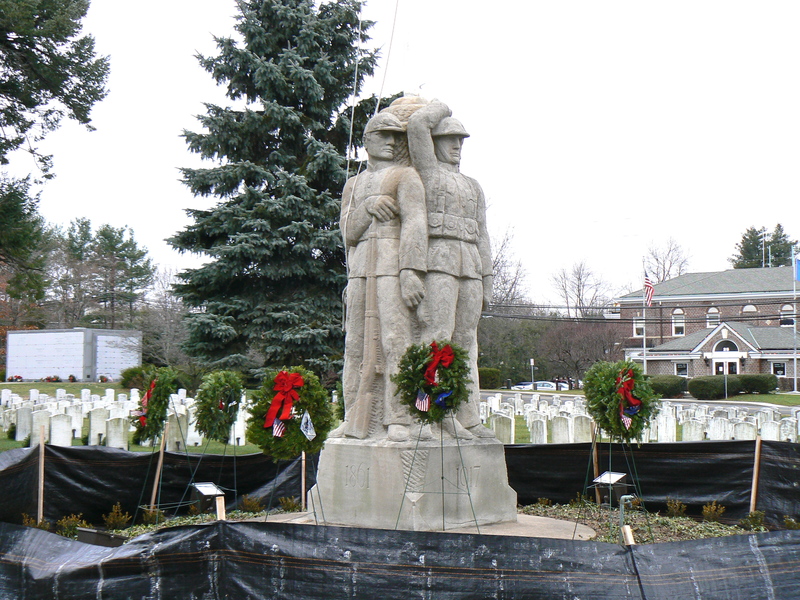 The landscaping fabric surrounding the flagpole is part of a restoration and replanting effort launched earlier this year.